When you think of geriatrics, dental health may not come to mind. However, seniors often face oral issues that can affect their dental health and their overall health. If you are a senior, geriatric dentistry is an essential part of your health care priorities. Why Seniors Need Dental Care. Similar to individuals in younger age groups, seniors are at risk of cavities, gum disease, root decay, and tooth loss. If you want to retain your natural teeth for the rest of your life, you need to prioritize home oral care and make regular visits to the dentist. Professional cleanings can reduce your risk of developing these issues. Unlike healthy young people, seniors are prone to dry mouth. This can increase your risk of tooth loss and bad breath. Although drinking water and chewing gum can prevent dry mouth, your dentist may have additional advice. 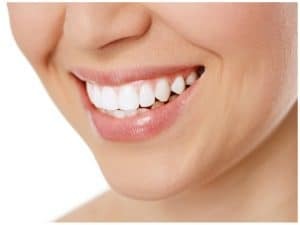 Dental Health And Your Overall Health. Oral health issues can do more than ruin your teeth. Poor oral health can also contribute to medical issues. Geriatric dental care can prevent diabetes, stroke, and heart problems. Your risk of these conditions can be decreased when you have professional cleanings on a regular basis. Your teeth can be free from plaque, and your mouth can be free from dangerous bacteria. Seniors And Dental Work. Even if you do not wear dentures, you may have some type of dental work that should be checked regularly. If you have crowns or caps, a dental bridge, or fillings, regular checkups will keep your dental work in excellent condition. It will last longer, perform better, and be more useful for you. Geriatric dentistry means not needing to choose between your dental health and your overall health. You can have both with regular visits to your dentist. You can have a healthy smile and good health throughout your senior years.